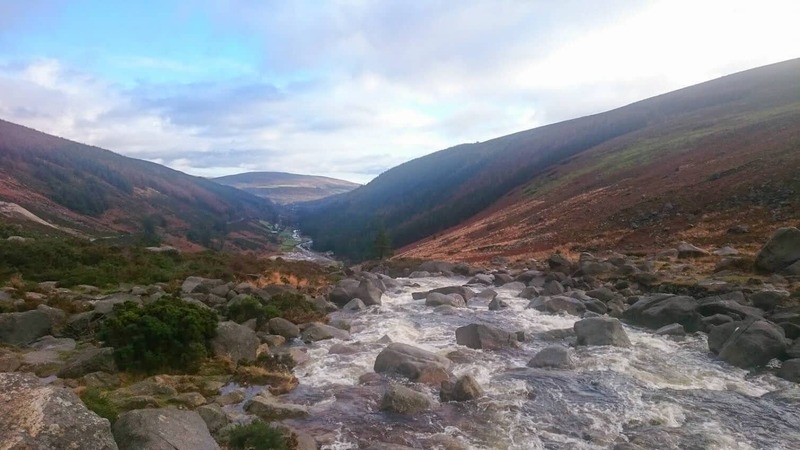 The Wicklow Way is a long distance walk from the suburbs of Dublin, through the Wicklow uplands and rolling countryside before finishing in the small village of Clonegal in County Carlow. This wonderfully varied walk encompasses crossing parkland then forest trails ascending to mountain terrain before descending to the rolling countryside of Wicklow and Carlow. 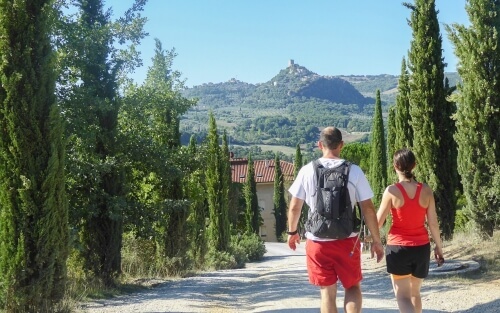 Spectacular scenery will accompany you throughout so be sure to have your camera with you. Céad Míle Fáilte – Dublin, capital of Ireland and a really bustling, cosmopolitan city. Take in the sights and be sure to try a pint of the black stuff … Guinness or perhaps a taste of one Ireland’s fine whiskeys. Céad Míle Fáilte – Dublin, capital of Ireland and a bustling, cosmopolitan city. Take in the sights and be sure to try a pint of the black stuff … Guinness or perhaps a taste of one of Ireland’s fine whiskeys. Starting in Marlay Park, at the car park beside Marlay House, you will meander through this delightful public park before taking an underpass under the M50. After this, you will begin to ascend into the Dublin Mountains where the undulating hills will take you all the way to Knockree. 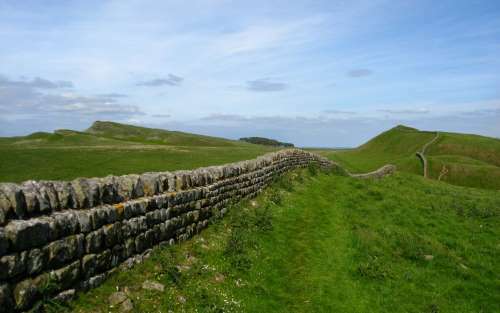 Today’s walk will have you crossing rivers and traversing the hills. 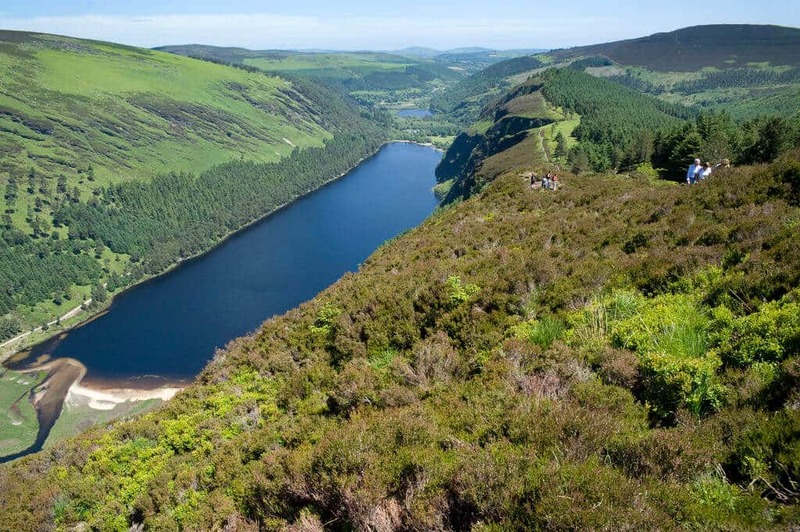 Some spectacular scenery will greet you today such as the viewing point over Powerscourt Waterfall or the panoramic view of Lough Tay towards the end of the day. Hiking through the forest then on the road will take you to Roundwood, your stop for the night. 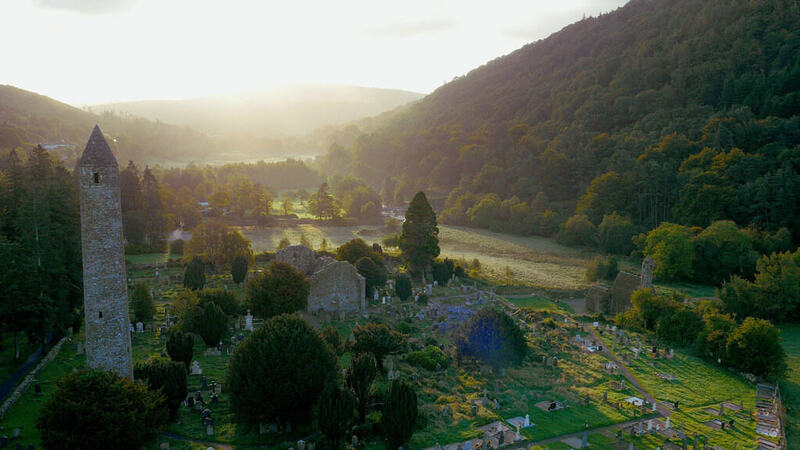 A short pleasant walk today will take you to one of Ireland’s most famous sites, Glendalough. 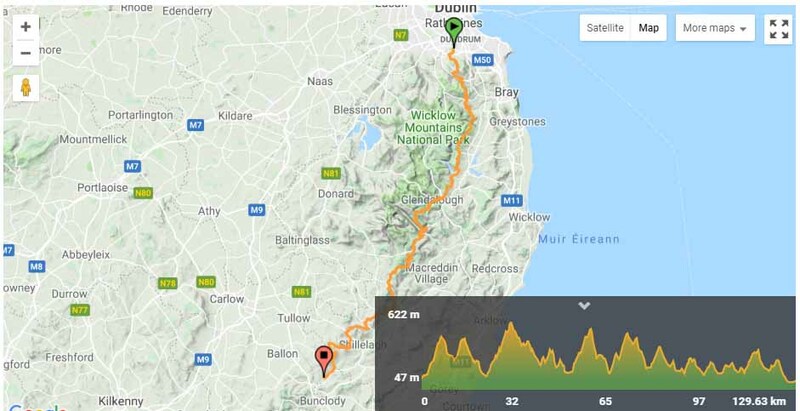 Following the road to start, you will soon turn onto a lane before mounting the hills and entering Brockagh Forest before emerging at the scenic beauty spot of Glendalough. 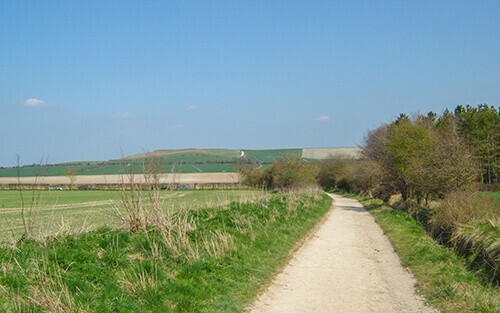 Not a particularly long day today but you will spend time after crossing the valley ascending to the shoulder of Mullacor. From here, you will cross the bog land on a boardwalk before descending to Glemalure Vallery, accompanied by wonderful scenery as you go. Having enjoyed two shorter days, you will be glad to have a slightly longer day today. 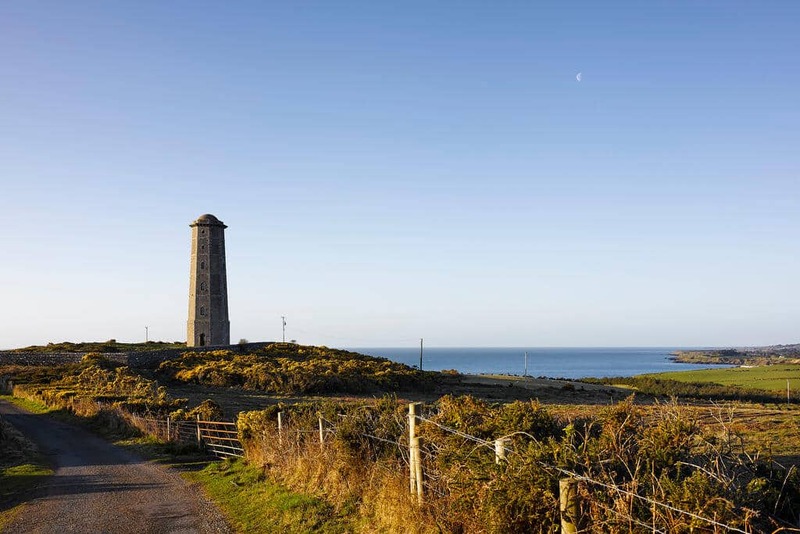 Ascending on the forested slopes of Slieve Maan, you will cross the rolling hills of Wicklow before making your final descent to the tiny picturesque hamlet of Moyne. 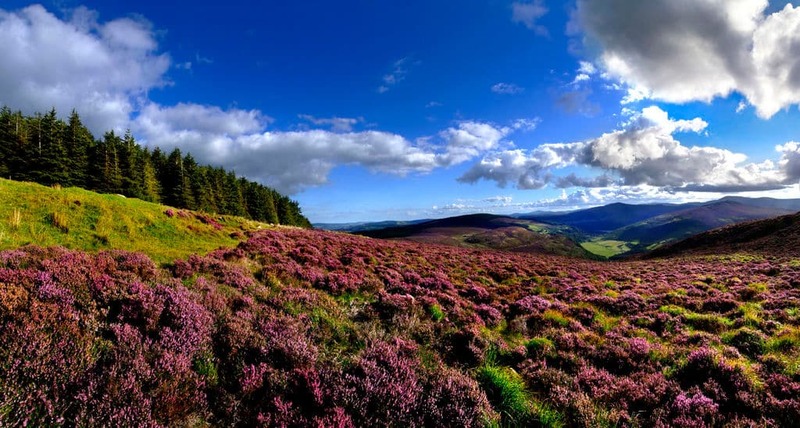 The walk today leaves behind the hills of Wicklow and takes you over gently rolling countryside. You will also pass the 100kms mark so why not reward yourself with a pint in Tallon’s Pub otherwise known as ‘The Dying Cow’. From here a short 6km walk will take you to the village of Shillelagh. This last day walking starts through the Raheenakit Forest then around the hills of Stokeen, Moylisha and Urelands before crossing the valley of the Derry River to arrive at Clonegal. Here you can enjoy a well-earned pint at Osborne’s who’s bar is made of coffin lids! Today we say “Slán agus beannacht leat“ and we hope to see you on one of our other walking holidays soon. In Dublin get the No.16 Bus from the O’Connell Street to Marlay Park. The bus stop is opposite Marlay Park entrance gate. You can also take directly the No.16 Bus from Dublin Airport. Your accommodation in Clonegale can arrange a taxi to take you Rathdrum where you can get the train back to Dublin. From Dublin, you can take the No.16 Bus to Dublin Airport.